Simbu's VRV Official Teaser Is Here! 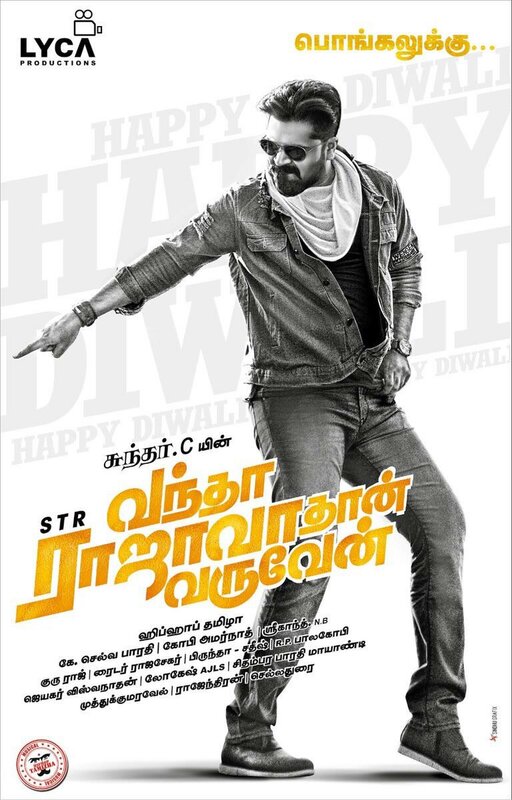 STR’s forthcoming commercial flick Vandha Rajavathaan Varuven is slated to release for Pongal 2019. The movie is directed by Sundar.C and bankrolled by Lyca Productions. Along with STR, the movie also stars Megha Akash, Robo Shankar, Catherine Tresa, Mahat Raghavendra and Yogi Babu in key roles. This venture is a remake of Pawan Kalyan’s Telugu blockbuster Attarintiki Daredi. The teaser of the movie which was screened in cinemas since 29th November is out on the internet now. Watch STR's Vandha Rajavadhan Varuven official teaser on YouTube here. >>Watch the new video from Simbu's VRV! >>Unknown - "Simbu came to the party late and..."
>>Watch the sensational video song #RedCardu from VRV! >>Watch STR-Megha Akash's new video here! >>Watch Robo Shankar's viral spoof of Kamal Haasan!